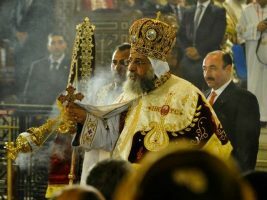 Coptic Orthodox Church representatives serving on the Constituent Assembly have welcomed a proposal that would enshrine Islam as the state religion but also protect the right of Christians and Jews to follow their religious codes. Edward Ghaleb, secretary of the secular Millet Council that runs the Orthodox Church’s administrative affairs and member of the Constituent Assembly, praised the role Al-Azhar played in drafting an article acceptable to all parties. Evangelical leader Safwat al-Bayady expressed hope that the proposal would be accepted by the required majority in the assembly. 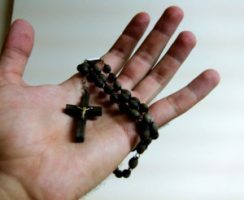 Yohanna Qaltah of the Catholic Church said it had earlier called for applying the proposed form of the article and that various Christian leaders support Al-Azhar’s draft. The line protecting the religious laws of Christians and Jews would resolve many problems facing these communities, he said without giving specifics. Hardline Islamists have advocated a stronger wording that would make “the commandments of Islamic Sharia” the basis for legislation, rather than “the principles of Islamic Sharia,” prompting much debate within the assembly. 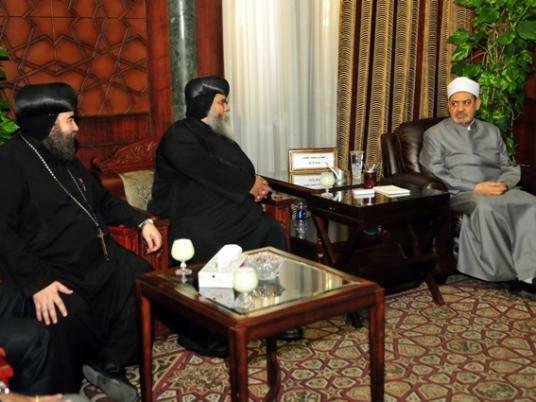 Coptic groups welcomed Al-Azhar’s more moderate version. 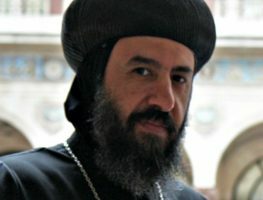 But Haytham Kameel, a Copts without Restrictions leader, said the movement is waiting for the resolution of legal challenges to the Constituent Assembly. An administrative court is considering allegations that the formation of the Constituent Assembly did not follow proper procedures, and that there was an unfair bias in the selection process that favored those affiliated to Islamist parties. An earlier formation of the Islamist-dominated assembly was disbanded for its lack of diverse representation.